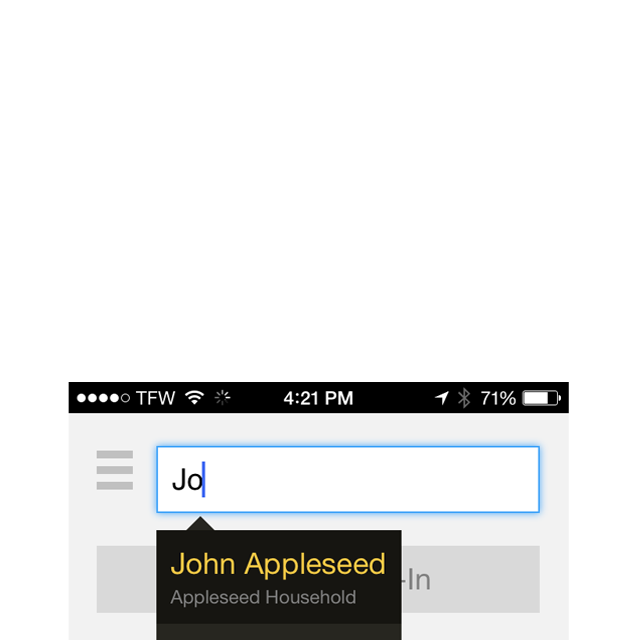 Allow Households to Self-Checkin via phone number, name search, or household code through this stand-alone app. Allow workers, volunteers, room attendants to check children in and out of their area, page guardians via SMS, and access allergies/notes at a glance through this stand-alone app. A live overview of your database - including how many children are checked-in, room capacity, etc. Add/Edit Households, Guardians and Children all in one secure place. Enable grades and/or rooms to organize, track and bulk-promote children. Create and manage multiple users, permissions, and account ownership. Enable 2-Stage checkin for added security. 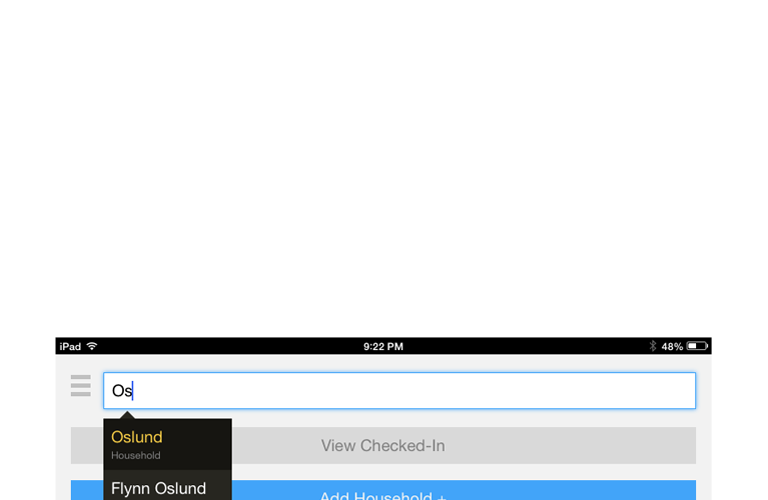 Customize the look of the Kiosk app, create custom people fields, use only the features you want.